Dandridge “Dede” Keyser Davis ’89 received her B.A. with honors in Studio Art and English. 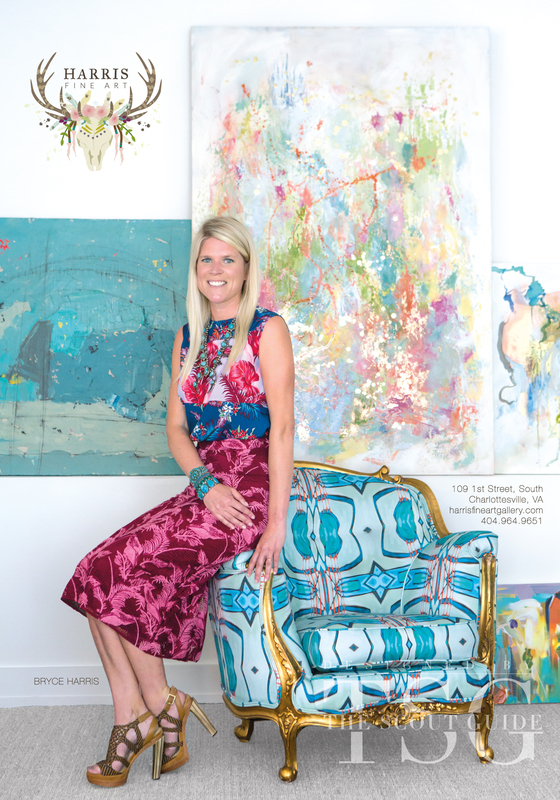 After stints in marketing, sales and film production in San Francisco, Los Angeles and Wilmington, NC this Richmond, Virginia based artist returned in 1997 and began to paint full-time. She paints large, abstract acrylics and smaller encaustics. Dandridge is represented by Robin & Robbins Fine Art Consultants https://www.robinandrobbins.com and Harris Fine Art in Charlottesville, Virginia. Her work is held in many private and corporate collections including the Federal Reserve. With an eye on design, Dandridge launched a line of painterly wallpaper in 2016. Visit: www.dandridgeart.com to view paintings and wallpaper. Inspired by her son’s battle with cancer, her Healing Series was exhibited at VCU Health Massey Cancer Clinic at Stony Point, Richmond, VA in 2016. Dede was nominated as a Make-A-Wish Greater Virginia 2017 W.I.S.H. Honoree (Women Inspiring Strength and Hope) and helps raise awareness and funding to grant children’s wishes. I paint as a way to communicate. Painting for me is intuitive … giving free rein to impulsiveness and sensuality balanced between organic (nature) and geometric (man) shapes that become a dialogue. The physical process bonds me to the painting. I stand over raw canvas and stain the first layer by applying thin, diluted paint with a sea sponge. Sometimes it is poured allowing for a varying effect. Each layer evolves due to the interaction of the colors, the tool (i.e. squeegee, palette knife) used to apply the paint and any additions of thick mediums and gels in different finishes. Any prettiness will have a sense of torque to it … an element of surprise. A boldness, muscular of a sinewy kind. Each painting starts with me leading the paint, it then takes on a life of its own and begins to lead me. Back and forth like a dance. Through this process unpredictable encounters occur.